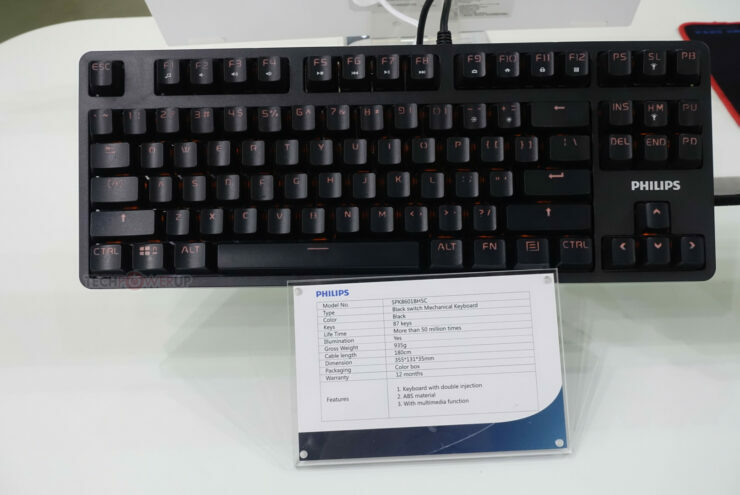 Phillips has shown an even deeper dive into the gaming side of computing with these new monitors and gaming keyboards shown at Computex 2018, the monitors are a 34 inch UltraWide QHD Curved display and a 27 inch QHD monitor with both equppied with a USB C docking station. 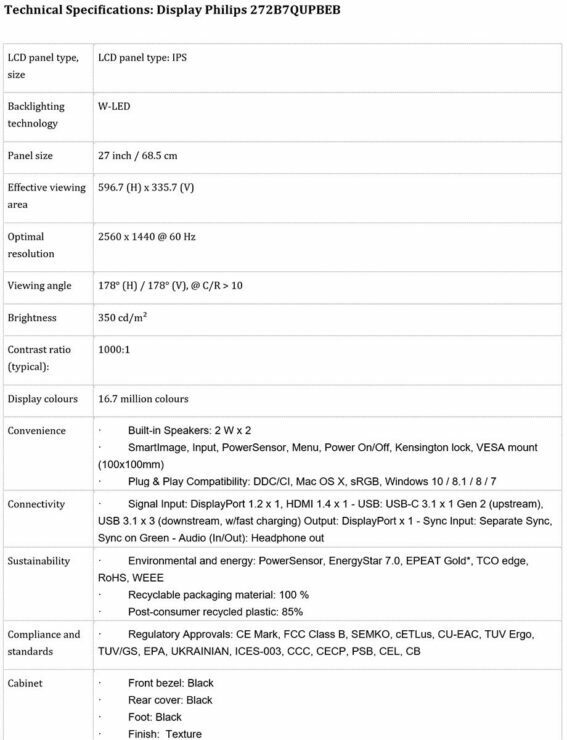 Welcomed by early adopters at the time of its introduction as a true revolution in the making, USB-C is now rapidly becoming a standard requirement for business and power users alike. As a real enabling technology, it provides a whole lot more than its practical reversible connector or its support for higher data transfer speeds, also allowing users to charge, transfer audio and video signal with different protocols, and connect to the Internet with just one single cable. USB-C thus transforms displays into the critical hubs around which the modern digital workplace thrives. 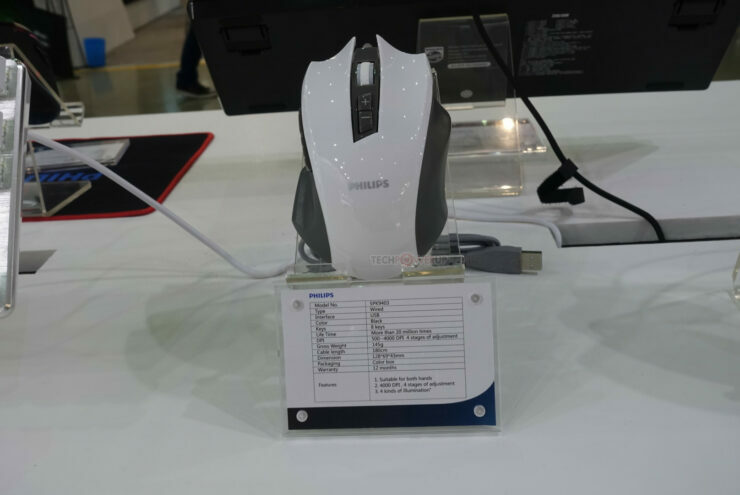 Being equipped with USB Type-C allows the monitor to serve as a recharging station for mobvile devices and netbooks as well as a docking station for cameras, headphones or even a keyboard and mouse. 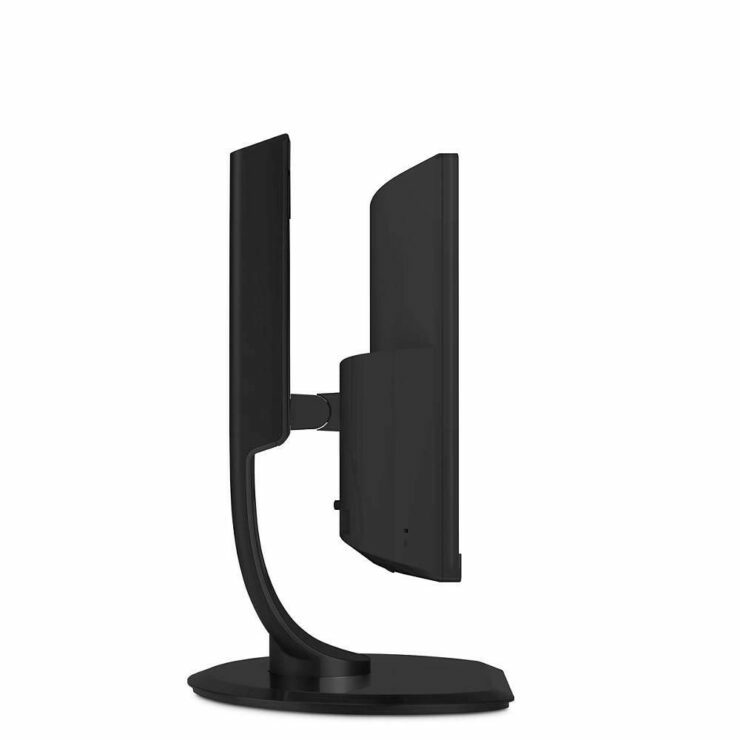 Choosing a Philips monitor with the USB-C docking solution is a sure way to redesigning your everyday tasks, reclaiming desktop space and focussing on your work instead of losing time and patience whilst dealing with the quirks and the clutter of multiple, incompatible ports and cables. 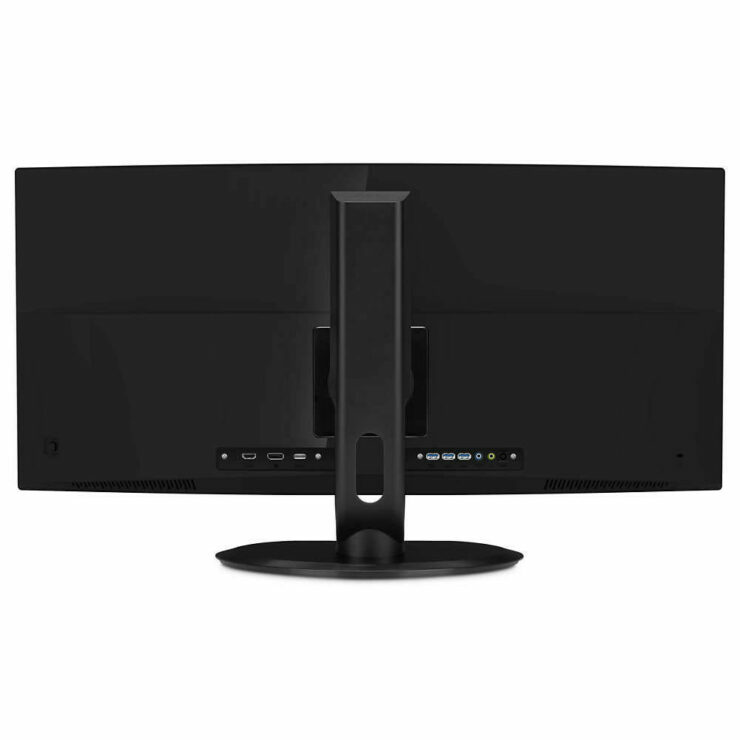 A great addition to its flagship Philips Brilliance P Line, the new 349P7FUBEB is a 34″ curved UltraWide display designed for no-compromise WQHD (3440 x 1440) applications. 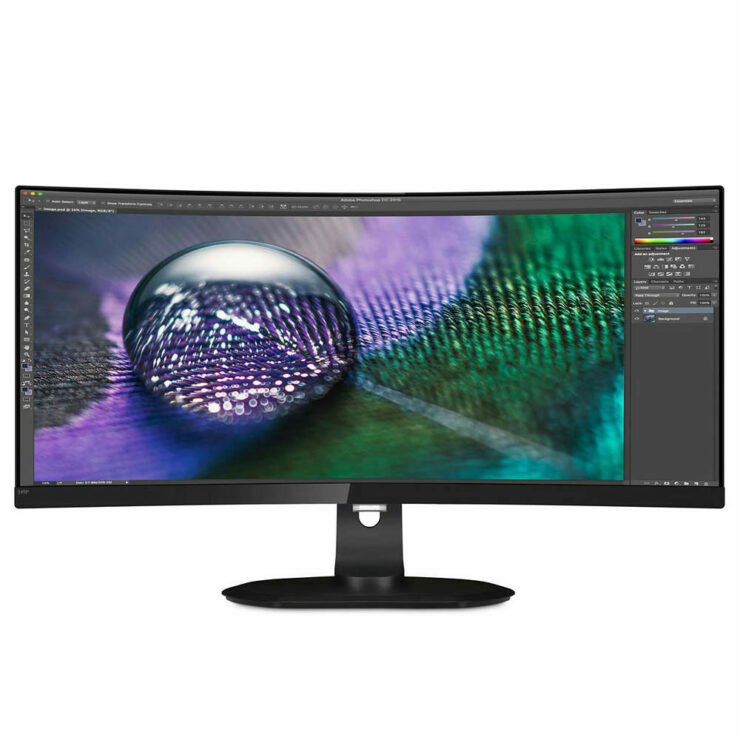 Producing vivid, more natural CrystalClear images featuring an extended UltraWide Color gamut with a 21:9 format high density, high contrast MVA panel, this advanced display provides a subtle immersion effect enveloping the user in the task at hand, helping to stay more focused and productive. 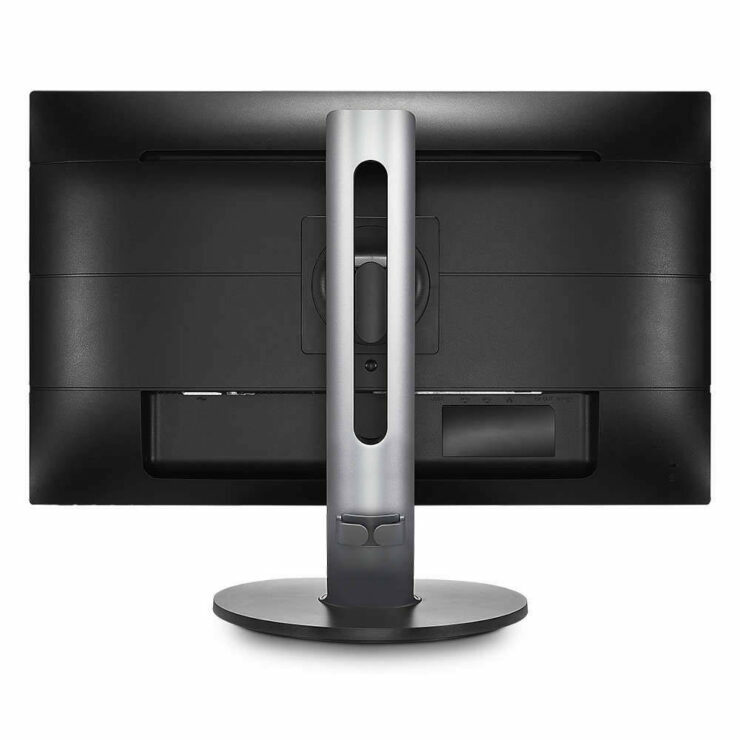 And for more demanding applications requiring even more display space, the dedicated Philips MultiView technology enables an active dual connect feature allowing users to simultaneously view multiple devices such as PCs and notebooks side-by-side thanks to the available Picture-by-Picture and Picture-in-Picture modes. 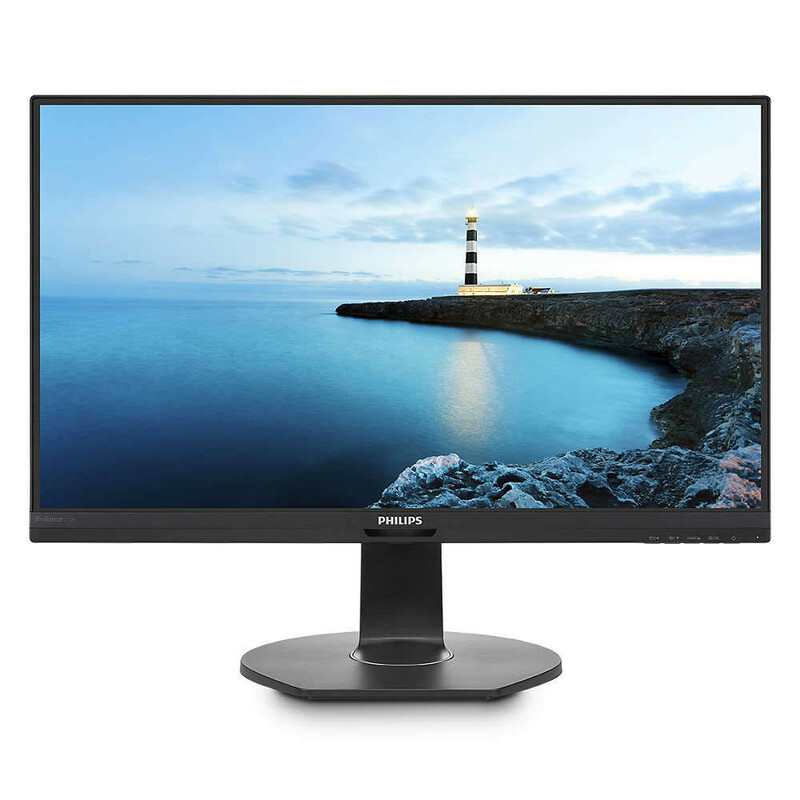 With its 100Hz refresh rate, the new Philips 349P7FUBEB also grabs the eye with its lag-free, ultra-smooth images, never missing a critical frame however advanced your video requirements may be. 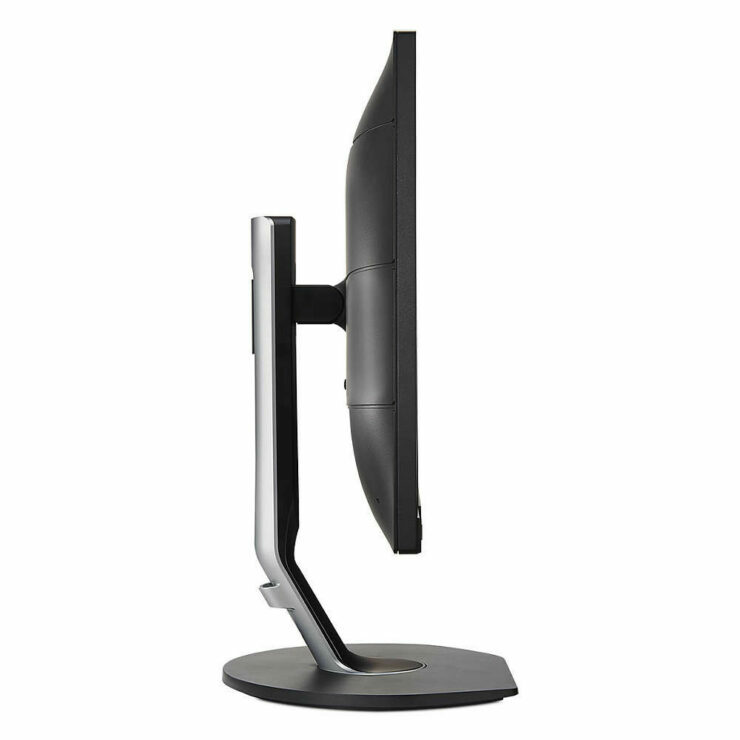 Adding to this, both the 349P7FUBEB and the 272B7QUPBEB monitors share a rich feature set including LowBlue Mode, a special setting that takes advantage of a dedicated software technology to reduce shortwave blue light emissions which can cause eye damage over time; SmartErgo Base, a height adjustable stand complete with swivel, tilt and pivot functions for the best customisation possible; and Ultra Narrow Border, a smart design feature that minimises distractions and maximises viewing size in multi-display or tiling setups giving the feeling of using a single, large display. 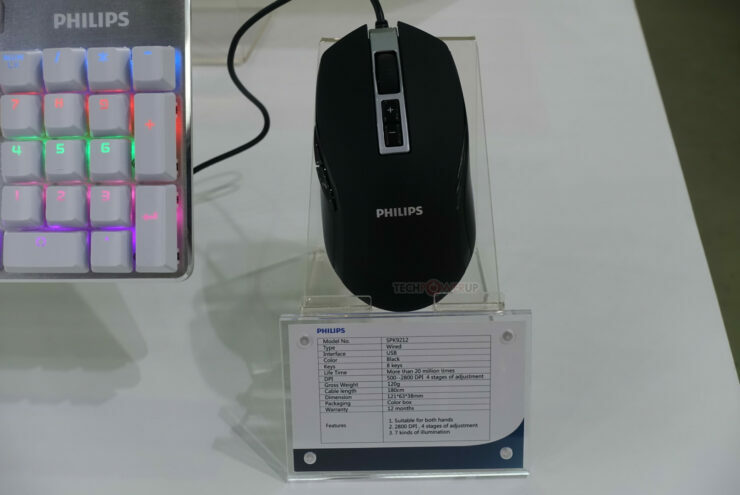 While Philips has been selling PC monitors for a while now, The Dutch company has shown off its gaming mice as well as full and TKL keyboards, and four different kinds of ergonomic gaming mice. 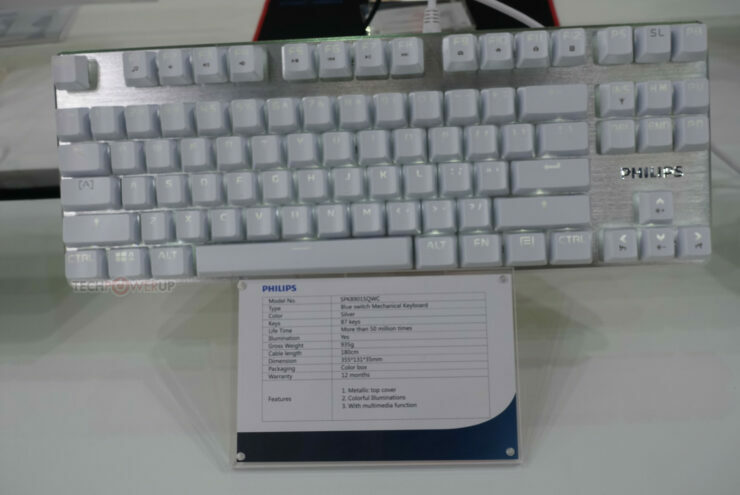 The SPK8601BHSC and SPK8901SQWC are the tenkeyless keyboards. 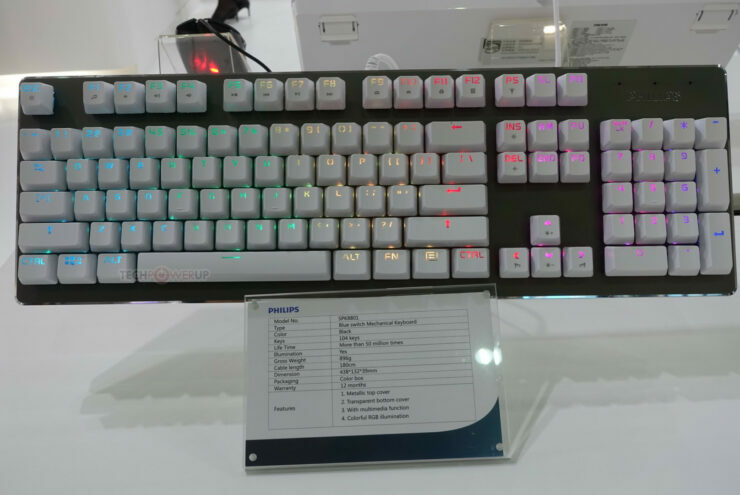 The SPK8601BHSC (Please give them better names Phillips) has a matte-black plastic bezel, and amber lighting, with the other model having a silvered brushed aluminium bezel, and white LED illumination. 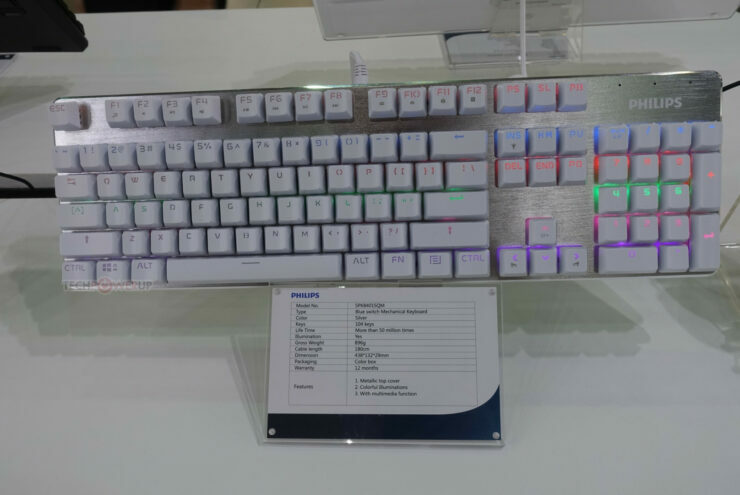 Both keyboards feature blue mechanical switches, which I assume is Cherry MX Blue. The mice are quite different from one another, with them each looking drastically different. 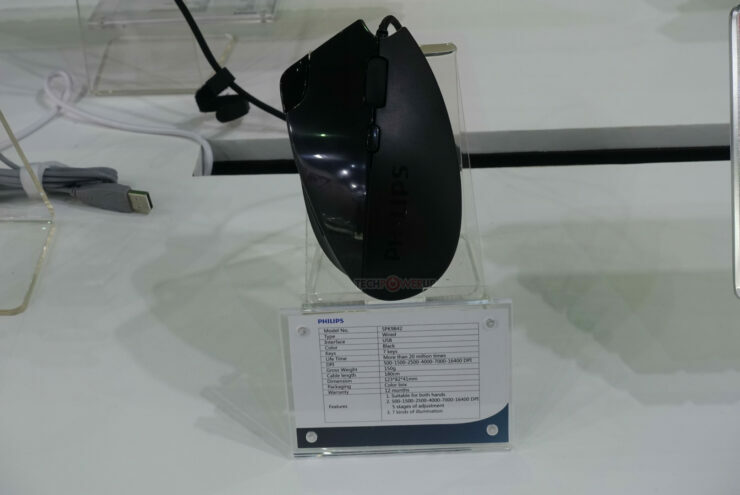 The SPK9403 is a larger right hand mouse that is designed with palm grip in mind. 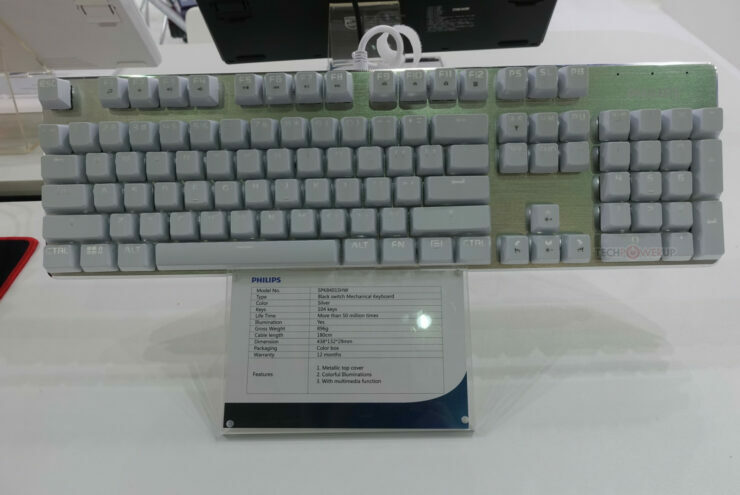 It has 8 buttons a 4000 DPI sensor and 20 million click endurance with a 145G fixed weight. 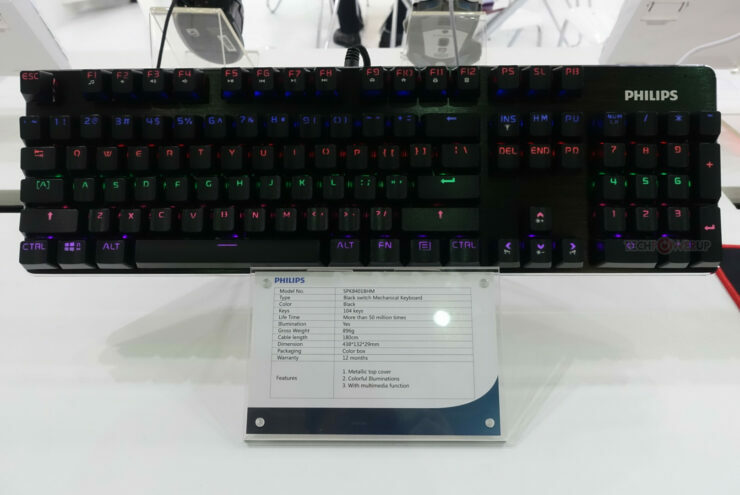 The SPK9842 has a 16,400 DPI sensor with 7 programable buttons 150G fixed weight and a very asymmetrical design. The SPK9401W is similar spec wise to the SPK9403 but is designed for claw grips. Finally there’s the SPK9212, which will probably fill out the budget end of the lot, with its ambidextrous design, 2,800 dpi sensor, and 120 g fixed weight. 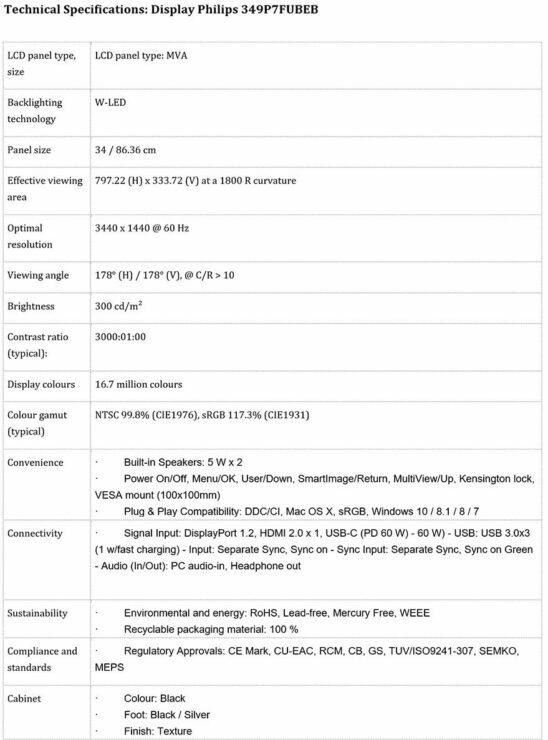 The UltraWide 349P7FUBEB will be available in July for 749 Euros and the 272B7QUPBEB will be available for 399 Euros at the same time. 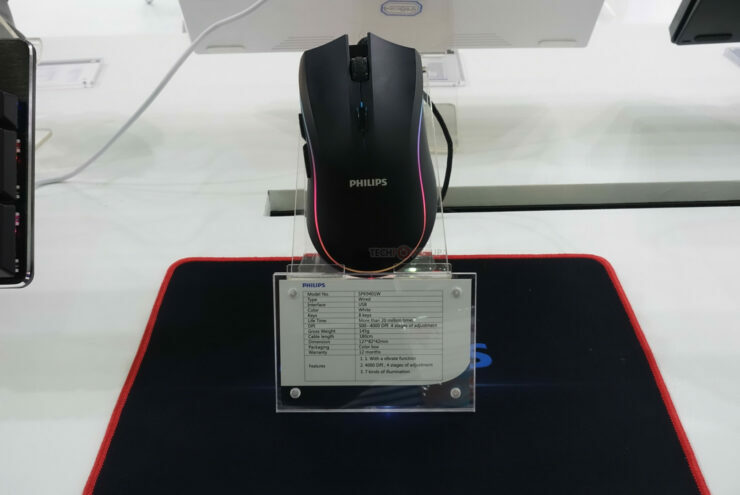 The peripherals did not have pricing.